While the Internet and computers have changed so much in the last ten years, one of the things that most of us still really like are great desktop wallpapers. And National Geographic has some of the best photographers and photography in the world – for those of us who like to use our desktops to display beautiful photographs, National Geographic is a treasure. 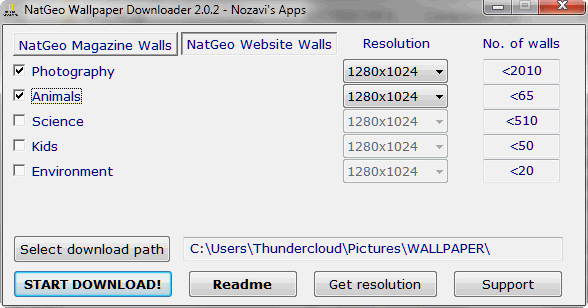 And NatGeo Wallpaper Downloader makes it easy to download thousands of beautiful photographs from National Geographic. If you love beautiful photography and you love desktop wallpaper, you’ll love NatGeo Wallpaper Downloader. It’s free. I works on Windows XP, Windows Vista, and Windows 7 both 32 and 64 bit. It’s freeware and it weighs just 713KB. The program does not install. You just download it to the folder of your choice and click to run it. If you want to create a shortcut to it on your start menu, right click the file you downloaded and choose “Pin to start menu”. If you are running Windows 7, right-click the file and choose “Run as Administrator” when you run the program. And one more thing – NatGeo Wallpaper Download will automatically detect your screen resolution and download the correct size wallpaper for your computer. “National Geographic is one of the largest non-profit scientific and educational institutions in the world. Over the years, it has also been a great source of amazing photos and wallpapers that mesmerized people from around the globe. Some of the most beautiful wallpapers have been placed online, on the National Geographic website, but due to their large number, downloading them has been a problem until now. 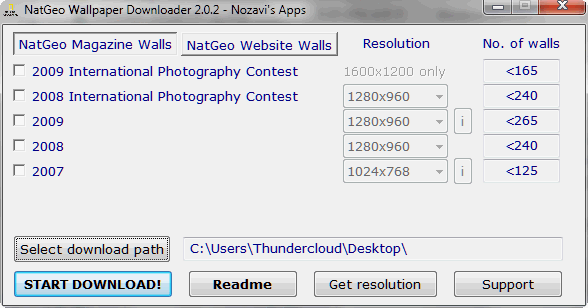 With NatGeo Wallpaper Downloader you can download over 5000 National Geographic wallpapers with just one click. 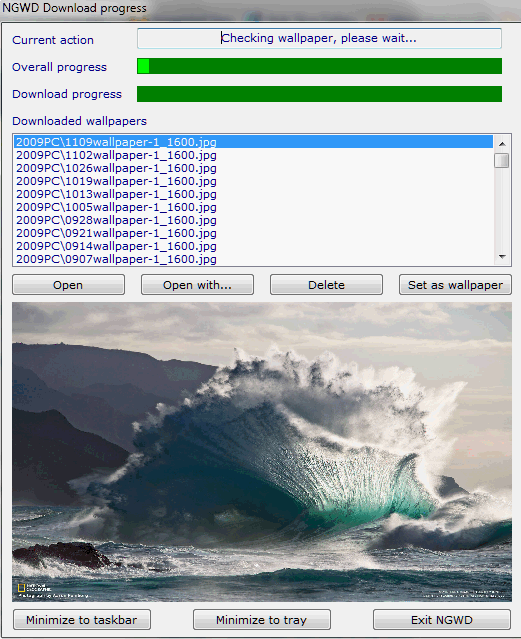 Be advised: Downloading wallpapers can take a while if you’re on a slow (modem/ISDN) connection! If you’re not using a high-speed connection I’d advise you to download the wallpaper packs one by one. Note that Windows Vista users shouldn’t feel left out. The instructions for Windows 7 also work for Windows Vista. Yes, Nat. Geo. has great wallpapers you can download just like you said, and it is as easy as 1 2 3. I download a new one when I’m tired of looking at the same one for some time. Another great site for free downloads is away.com and it comes with a calendar on the upper right side. You can change pics. every day if you want. Thanks again TC. Loved this app, I have it on my pc and it has tons of wonderful wallpaper photos.